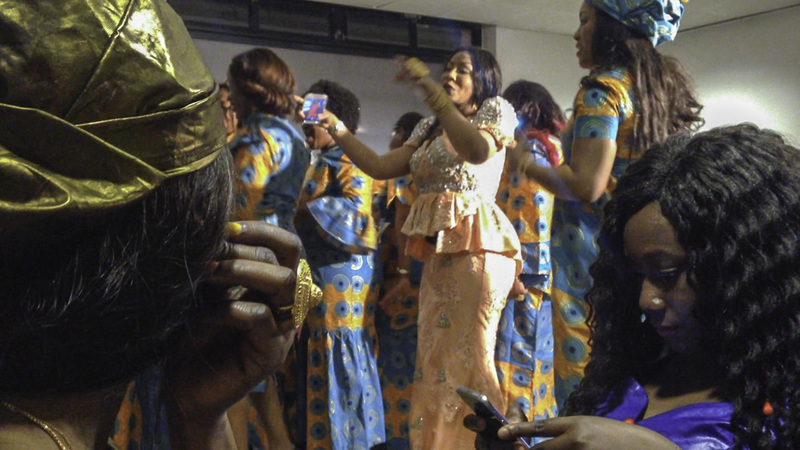 Guests, some in a blue and orange wax print group uniform, at a wedding celebration in a Parisian suburb. This trip was hard—well, as hard as spending time in Paris, its glittering center and fascinating, diverse, labyrinthine suburban communities can be. I arrived in Paris with a not-very-long list of phone numbers, contacts’ contacts. It never feels good to have one’s messages unreturned, but the few relationships I was able to establish during the six weeks’ stay rewarded me much more than I could have predicted. One of these relationships, with a wonderful family living in “the 93” (the Parisian suburbs to the northeast) yielded an immediate invitation to a wedding celebration, exactly the sort of thing I need to observe. And of course, I didn’t have the right clothes to wear. Being sartorially unprepared for Malians, beginning to be my life story. I’m grateful for this welcoming connection and look forward to continuing to develop it when I return next year. The work in France, particularly on the compressed schedule of this six week visit, presents different challenges than explorations in Dakar, even though daily life stuff* is much easier than in Senegal or Mali. Poking around and arranging meetings is not at all simple when the people I need to meet with are spread pretty thin. As one woman put it, living in France means ka bɔli ka bɔli ka bɔli, to run and run and run. 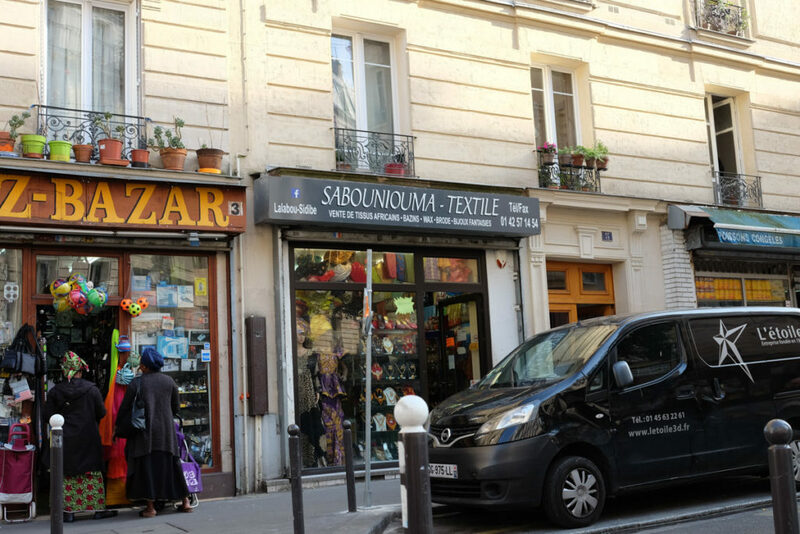 Already I am gaining a sense of the diverse paths members of the Afro-parisian community have traveled. During the twentieth century, most migrants were men who had traveled through major cities on the continent before making their way to France to rebuild it during the postwar boom. Aicha, the daughter of a contact, accompanied me when I met a shopkeeper who speaks Soninke and a growing bit of French, whereas Aicha, who is from Bamako speaks Bamana and French, and I speak French and some Bamana. Migrating through family reunification, this woman had come directly from her village in the Kayes region to Paris. Through the intervention of another contact, Moussa, I was able to attend meetings of some political groups (Malians residing in France who are engaged in a suite of political activities in their country of origin), both regular gatherings and a special celebration, complete with griots, uniforms, and delicious Malian snacks. I also enjoyed chatting with Moussa over train-station coffee about how Paris, its Malian communities, and Mali have all changed–including the durability of “Malian Western Union,” i.e. sending money, letters, and so on home with a friend who is traveling there, preferring to entrust it to them than to money-sending services. Even apps have not totally supplanted this human network. *the bread. Did I mention the bread? Bread. 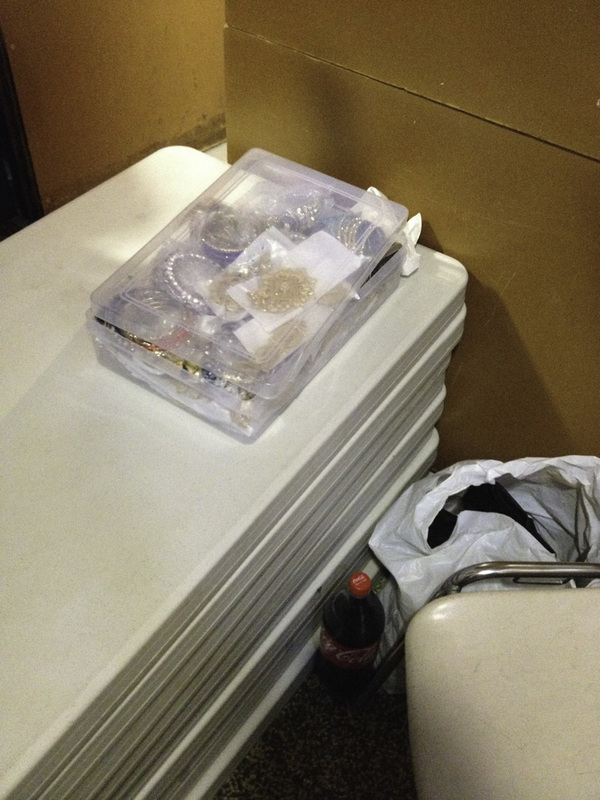 Someone sold jewelry and accessories in a corner of the wedding party room, a small example of the close connection among commerce, fashion, and key social relations.